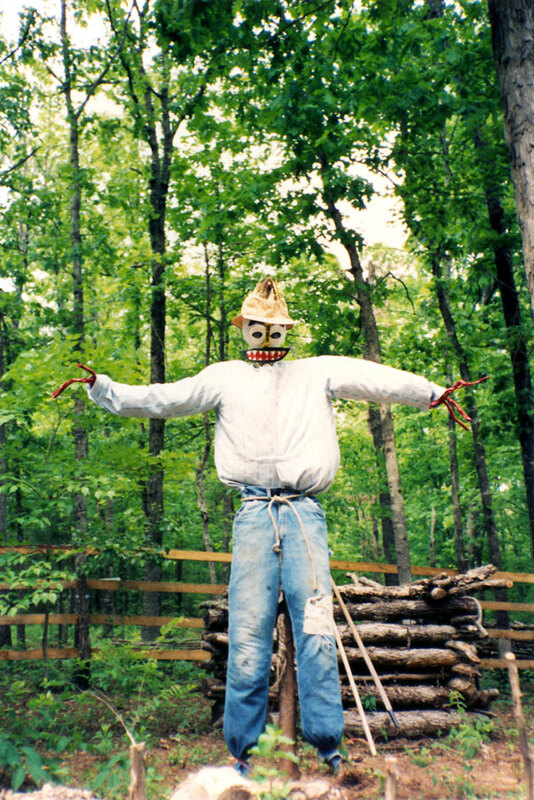 The scarecrow in the garden not only scared away birds, but also some unsuspecting visitors who were unaware someone was living in Kimbrell Creek Hollow. 1991, scanned color print, 3 x 5 in. (7.62 x 12.7 cm). Ozark Series. © 2008 by Allen C. Benson.